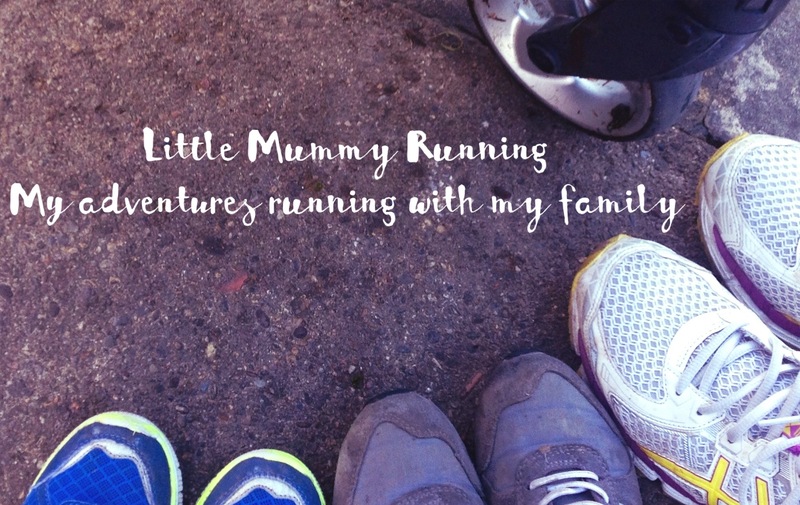 Little Mummy Running on Holiday…yes, really! I’ve been quiet over the last week because I have been on holiday with the Monkeys. Four nights in a mobile Monkey House. Thankfully Mr LMR upgraded our booking to include 20% extra width. Very important when you are planning to spend time in an enclosed space with a pack of raucous monkeys. Holidays are all about getting away and relaxing. Or they were before I had children. I have never run on holiday, despite previous good intentions. However, having undertaken the Runners World Run Streak I knew I had to make it happen this time. Surprisingly, that one mile per day had a few unexpected benefits. Anyone with monkeys of their own, will know that going on holiday requires a significant amount of planning. They need a number of important items and a wide variety of expected and unexpected situations need to be factored in. Footwear for the beach (even if they will inevitably prefer to be barefoot); buckets, spades and nets (because who wants to pay for more 99p items, when you already own fifty, that have been lurking in your garage for the last five years); an adequate supply of spare clothes (to cover all eventualities, “I’ve fallen in the sea”or “I waded into the sea on purpose and now I am wet” or “I’m wet because I climbed into an ornamental pond five minutes after arriving on our day out”). There is hats and jackets, books and toys. Favourite blankets, bedding, travel cot, bumbo seat. Nappies, bedtime pants and waterproof sheets (everyone likes too much juice before bed on holiday). A weeks supply of baked beans and monkey friendly cereal. Calpol, plasters, creams and bandages (you really never know). I could go on, but I won’t. Needless to say, as we drove away from home, boot packed tightly in a krypton factor style, I realised I had forgotten a few things. My things!!! In the past, a holiday would mean a new hair cut, leg wax and pedicure. This holiday I did none of the above. I thought hair and legs had time left before critical but I soon realised I had the hair cut of a shaggy dog and a spiky crop was emerging from my peddle pushers (that’s legs not higher). I forgot my hair brush and tweezers. Not enough in the maternity leave fund to justify replacements. I was left with several annoying chin hairs for five days and had to use a stow away comb, found in the bottom of Mr LMR’s suitcase. Shaggy dog cut became eighties quaff as a result. Grrrrr! One thing I didn’t forget though, my trainers. The reason I didn’t forget? Because I planned my holiday running in advance. I had my route planned on gbmapometer before I even saw it. One mile carefully planned. Trainers and kit, set out and packed first. All I had to do was make it happen. This isn’t the first time I have had good holiday intentions. Normally though my trainers stay in my suitcase from arrival to home time. Thanks to a bit of planning and the commitment to just one mile per day, this time it felt achieveable. The concern was that it would be an inconvenience trying to fit it in around monkey juggling. However, it actually became a benefit in more ways than one. A few little gifts really. One of the benefits of my run was, by timing it right, I could coincide it with BM requiring a nap. The older monkeys staying up late and sleeping late, BM had other ideas. Up late, waking at least once in the night, then up early too, by 8.30am she was beginning to flag a little. I knew that I could pop her in the pushchair and guarantee a quiet 20 minute run with the added workout of pushing the pushchair up the hill back to the campsite. I mean, what are the chances that she would sleep in the Mobile Monkey House? Next to none. She would just be crawling around your feet crying and wiping her nose on your leg as you tried to mobilise the rest of the monkey minions. The free time provided Mr LMR opportunity to tidy up and organise the other two monkeys. A quick shower on my return put us ready to get out in good time. A happy trade off between Mr LMR and I. A happy atmosphere was maintained. I may have broken the curse of no exercise on holiday, but it most certainly did not reduce my holiday habit of the consumption of excess bread. This might be understandable had I been in France, purchasing and consuming fresh baguettes and croissants. I was however, a fraction over an hour away from home, eating the same brand that I would eat in moderation at home. My bread will power appears to remain at home no matter where I am on holiday. I am going to add here that, in addition to all the bread, holidays also allow for lunch time gin and tonics and copious amounts of ice cream. 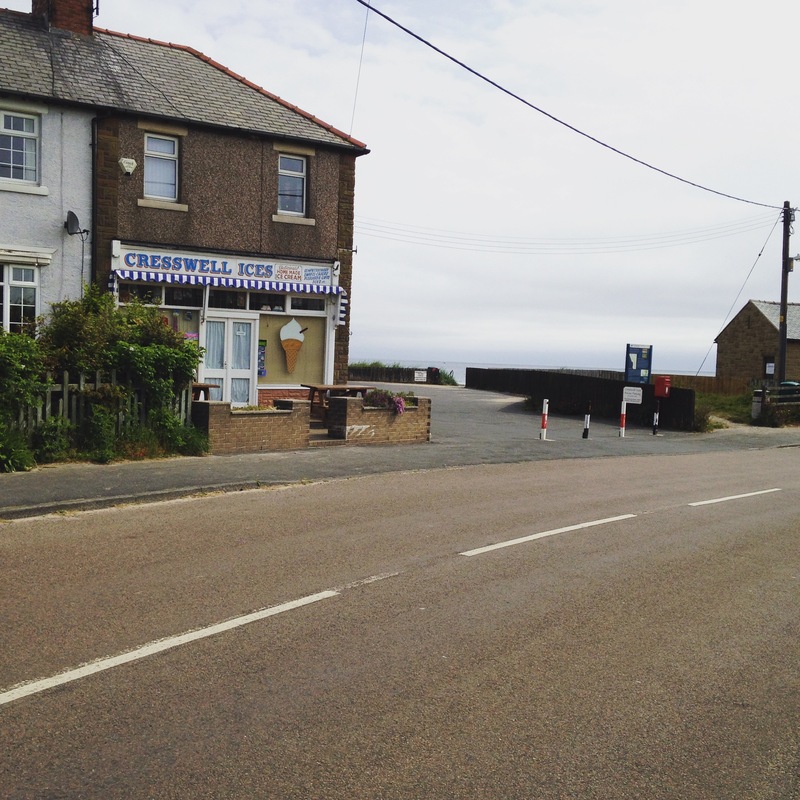 There was a very good ice cream shop right by the beach after all. Let’s not forget that eating any of your monkey’s left over food does not count on holiday. Plates of chips and chicken bites, sandwiches, pizza and more ice cream (if you’re lucky). None of the above counts, until you are going home and your trousers are cutting off your circulation and you are wondering if your pyjama bottoms are acceptable travel wear. This time was different. I may not have lost weight, but my holiday excesses appear to have been absorbed by my daily run. Together with all the running around with the monkeys. Bonus. The holiday had it’s moments of stressful monkey behaviour. Foot stamping tantrums over refusals to buy more gift shop crap, tears over dropped ice creams or being told that 9pm really was well past their bedtime. Situations like these can at times leave you feeling powerless. If my daily run gave me anything, it gave me a miles worth of extra patience in every moment of conflict. For that, I am grateful for the commitment I made, the planning I undertook and the willpower that took me out every day. Now it’s time to pack the bread monster back into the suitcases and shut him in the loft until next time.